Currently on at the Pitt Rivers Museum is the “Preserving What Is Valued” case display and museum trail. It demonstrates how people from all parts of the world repair their material culture. 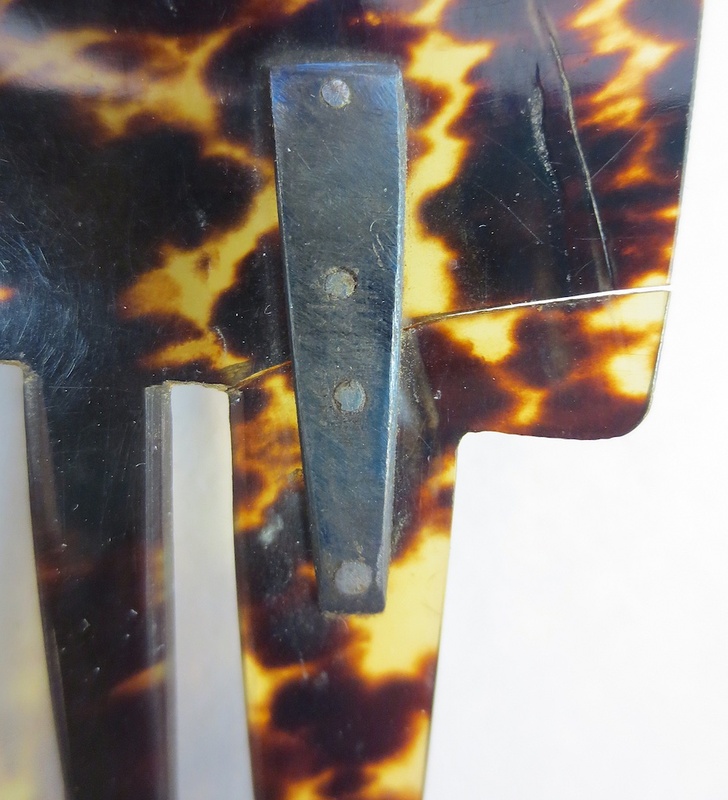 Conservators study objects in great detail and part of their role is to determine at what stage a repair has been made. If the repair was made by the originating community while it was still in use this provides an additional level of information and can give the object a deeper resonance. 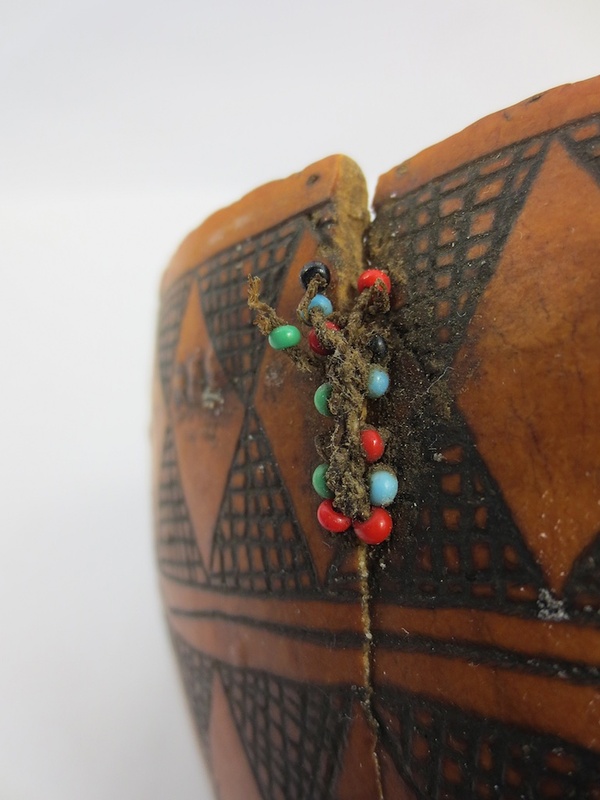 Identifying an original repair can raise questions that make us think about the object’s history differently. I was invited to run two darning classes as part of the events around this display. My name is Tom and I’m a self-taught textile practitioner, and one of the things I do is run the Visible Mending Programme. Through this programme I seek to highlight that the art and craftsmanship of clothes repair is particularly relevant in a world where more and more people voice their dissatisfaction with fashion’s throwaway culture. By exploring the story behind garment and repair, the programme reinforces the relationship between the wearer and garment, leading to people wearing their existing clothes for longer, with the beautiful darn worn as a badge of honour. “A mother’s Work…” repair commission for private client. You can read more about it here. The darning classes were well attended and the participants were taught two classic knitwear repair techniques: firstly Swiss darning, also known as duplicate stitching, which is a good way to reinforce thinning fabrics such as elbows on sleeves, or to cover up stains. 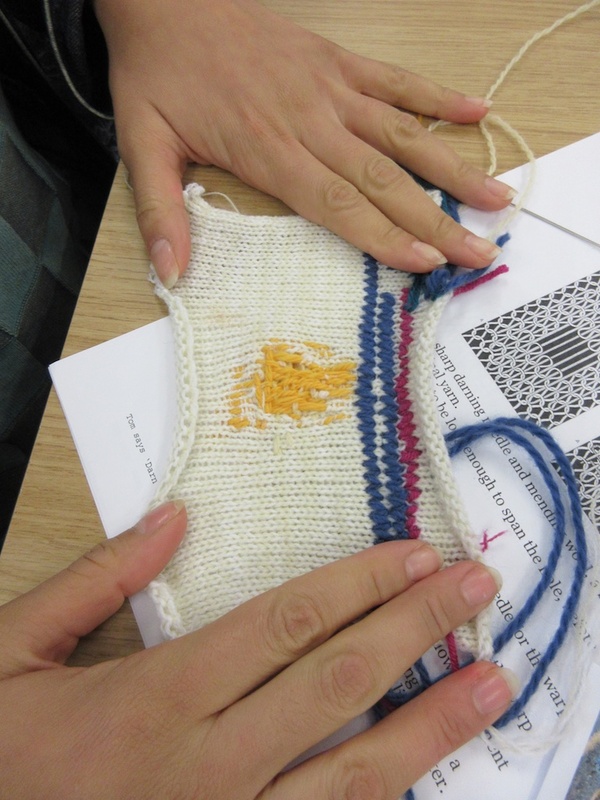 The second technique taught was the classic stocking darn, using a darning mushroom. 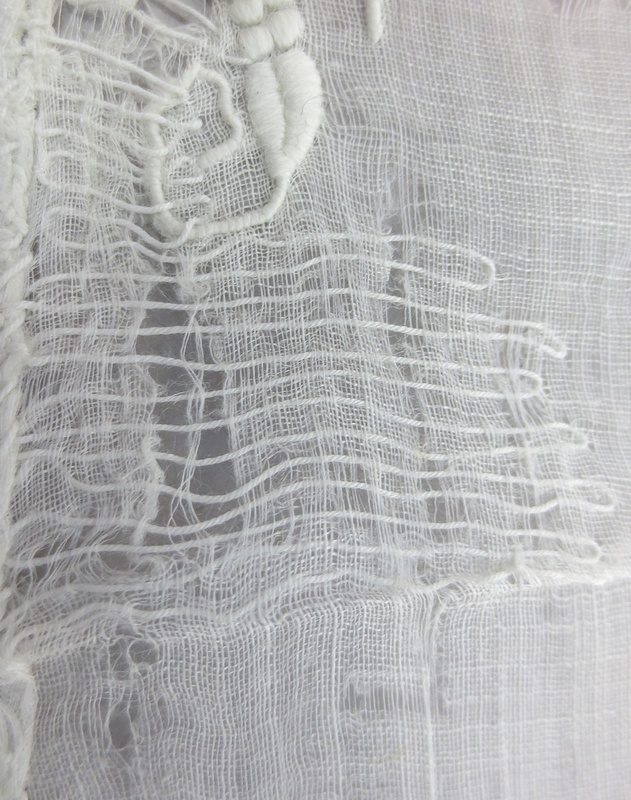 It creates a woven patch that is integrated with the knit fabric, and is a good way to repair holes. Of course this is best known for sock repairs. 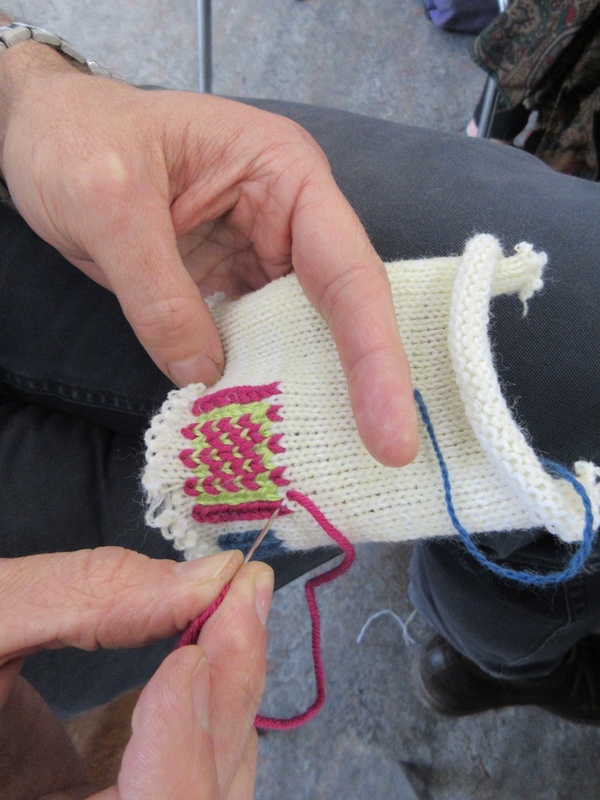 Throughout the class, I shared many hints and tips on repairing, such as what tools and materials to use for best results, examples of my work, and how to look after your woollens. Half-way through the class we had a break, and everybody was encouraged to see the display cabinet and follow the museum trail to find original repairs. I found the repairs very inspiring: an inventive use of locally available materials such as baste fibres, small decorative additions such as beads, or the neat way stitching cracks, the use of staples, or even items made in such a way that they could be easily repaired in the future. I won’t go into too much detail, as it’s fun to go and see it all for yourself! The Preserving What is Valued case display and museum trail at the Pitt Rivers Museum, Oxford, 29 June 2015 – 3 January 2016. More information here. 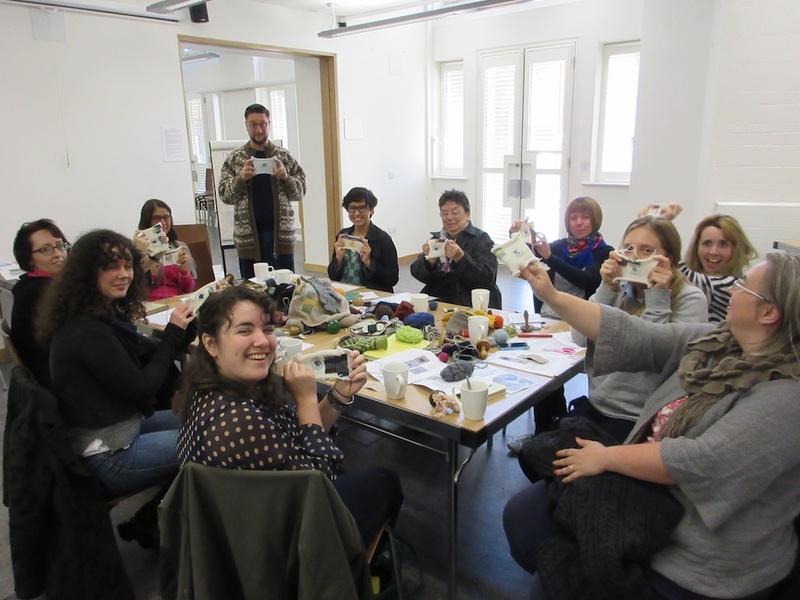 At the end of the workshop, all participants proudly show off their new skills! This blog post was originally published on the Education Pitt, Learning for Schools, Families, Communities and Adults blog.